The mortgage always needs to be notarized and two more copies are further processed with it to ensure the messenger who was sent at the regional county clerk’s department to record the mortgage doesn’t lose them while on his way. By this time, usually, 80-125 pages of paperwork are generated by the computer and prepared for the loan signing agent to deliver to the borrower. But before any of this could happen, selecting a well-versed and qualified notary closing agent is essential. 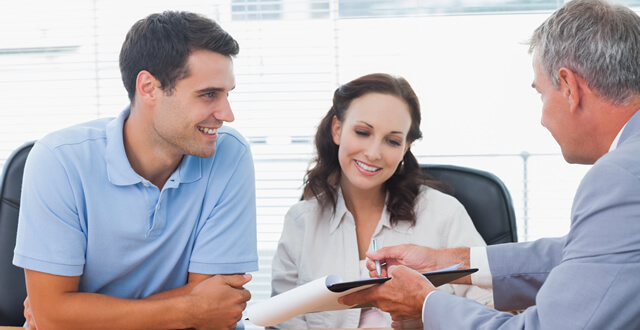 Most often, closing services or signing agent companies are utilized which provide help in choosing the loan signing agent. From there on, the notary which is to be assigned the work gets called up for the task. Before this, they are enquired about their availability and if the agent agrees then a ‘work order’ is sent by the notary signing agent service to the agent on the Title Company’s behalf. This is when the main role of the signing agent comes into play. All the work done prior to this entirely depends on the agent as they have to have the signatures and initials of the borrower completely so that the notarization is carried out accurately. It is also up to the notary to ensure if there are any non-borrowing spouses so that they are also there to sign the paperwork according to state law. Once all of this is done, the e-doc is delivered and the two copies are printed. If enough time is remaining after the printing, notary agents prefer pre-notarizing the papers to give themselves ample time so that they can stay completely attended to the signing process. Before the signing process begins, the agent shows his ID and asks for the borrower’s ID. Once this is done, the completion of the paperwork on a page by page basis begins. This typically takes up an hour but more time may be required depending on the amount of information that is due to be entered, the quantity of papers borrower wants to read, and the Loan Package’s size. Title Companies and notary signing agent services ask the signing agent to give detail about the papers but refrain from giving legal advice. During this period, the signing of the original Loan Application’s computer generated paperwork takes place. In the end, the paperwork is finally signed and notarized and delivered to a shipping service so that it can be shipped to the Title Company. All of this proves that the notary is indeed an essential part of the entire loan closing process. Documents which are important require notarization by the agent to certify the signatures on them.